About 70% of our customers have implemented our MRP system independently, without the help of consultants or dedicated training. Many first saw results with MRPEasy within mere weeks. When we look at the implementations that have gone smoothly, and others that haven’t, then we see clear trends. Below are five common denominators that you should consider for a successful MRP system implementation. MRP software is not a simplistic app, which performs a single function only. Manufacturing Resource Planning (MRP) is a long-proven method for company management. And an MRP system is a tool for applying this method. Firstly, make sure to understand what is MRP designed to achieve. Putting an MRP system in place also means learning and implementing the MRP methodology, which requires detailed mapping and understanding of current situations and likely even changing some key processes. It’s a serious long-term project. Treat it like one. You need a written project, a project team, written consent from management, a timeline, resources and the authority to make decisions. 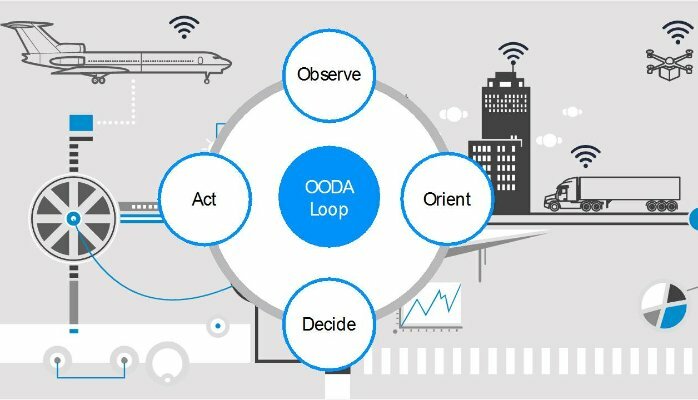 Choosing and implementing manufacturing software are processes that both take time. Progress can be difficult, but weekly progress is a must and needs to be enforced. Otherwise, the project will bleed out slowly and suffer a long, painful death. On average, we’ve seen that companies can go-live with MRPEasy in 1 to 3 months. 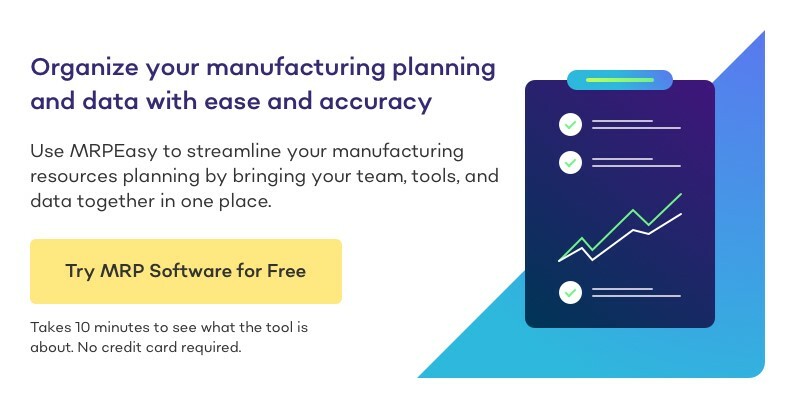 Of this time, it takes between 40-100 hours for you – the project manager – to deeply test MRPEasy, and to understand how to use it in your business. 1. Analysis of current business processes. 2. General discovery of the software. 3. Compiling and executing a simplified test task. 5. Launching a limited pilot. The project needs to be a priority and it needs daily, focused effort, for which an upfront dedication of time and other resources is required (including fees for consultations and testing licences). 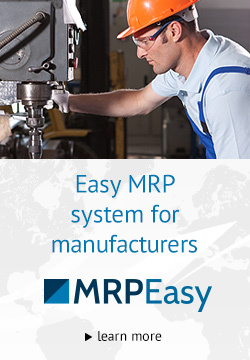 Implementing an MRP system influences every person in the manufacturing company – from the shop floor to the boardroom. The C-suite: They see the business goals and align the company vision. Plus, they make the final decisions. The middle management: They will work with it the most and will have the greatest understanding of the system. They witness the pains that need to be relieved – first hand. The shop floor: How they report their work will be impacted. Even if they do not get to decide, still, if their needs are not met, or they do not like or understand the new system, then some core issues might not get solved. If part of the organisation decides to boycott, because they have not been included, then the whole project comes to a screeching halt. Implementing MRP is a team sport! Take it as the most serious project ever – as most likely it is for your company! Prepare the project meticulously. Start by analysing and documenting your company’s current processes and situations. Set SMART goals, decide on the key stages, the timeline, dedicate the time, get authorization and get all stakeholders on the same page (together with their signatures!). It might be comfortable to keep it informal. Give orders orally, have a flexible (i.e. no) time frame and don’t use any project management methods. Invest time into organizing the teamwork and it will pay off ten-fold. An MRP system is a tool that your employees need to use. The vendor or consultants cannot use it for them. Hence, take ownership of the project. Your project team needs to understand the software and the final solution – all the way. You, the implementation team, know your company the best. Give all your team members access to your MRPEasy account and take your time exploring the system together. The key is that anyone outside of the company cannot steer or take ownership of the project. Even if you feel that you, as a group, are lacking know-how or experience in these things, you will still need to stay in charge and proactively look for solutions. Include experts, listen, read, experiment and find the best solutions to your problems. At the end of the day, there is always uncertainty, which can only be overcome by active learning and trial-and-error. It’s an exiting project, where everyone in your team will learn a lot, where you will certainly discover new solutions, see your business from a new perspective with newfound clarity and, importantly, raise the value of your company as a whole.